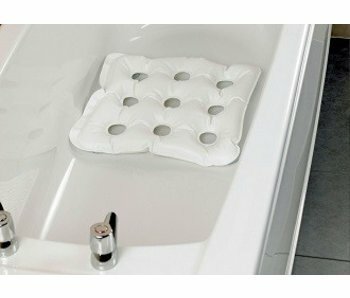 This inflatable bath pillow square of 45.5 cm with 4 suction cups is held firmly in place. 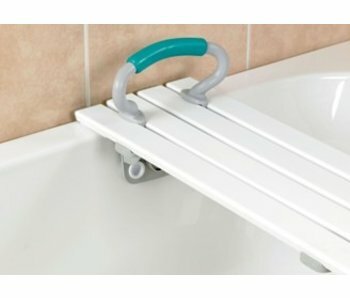 A bath board can make the difference in a transfer. A safe placement, however, is a prerequisite. 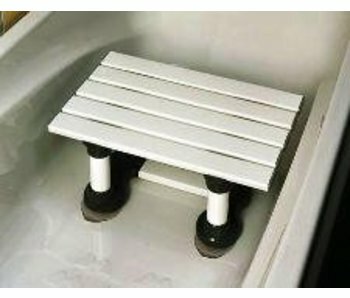 Bath board Savanah, white plastic strips with a large drainage capability. Bath is hanging on the edge of the tub. 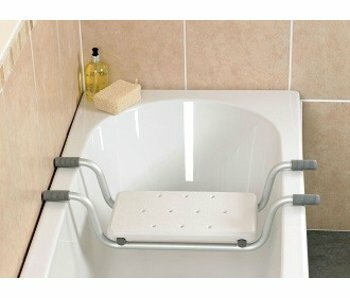 Strong and comfortable plastic bath seat. 4 strong suction cups ensure safety. 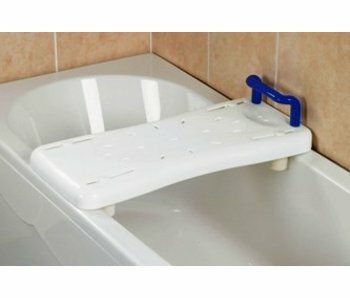 Bath board with sturdy perforated seat. The handle supplied is formed so that it is free from the wall.